CSUMB student Theresa Dexter spent her summer working to support the needs of former foster youth who are currently studying at CSUMB and are now members of the Guardian Scholar's Program. Her hard work paid off today, August 25th, when she handed out her "Mending the Needs" bags during the Guardian Scholar Orientation Meet & Greet at CSUMB. The Guardian Scholars Program supports students who have a foster youth background. 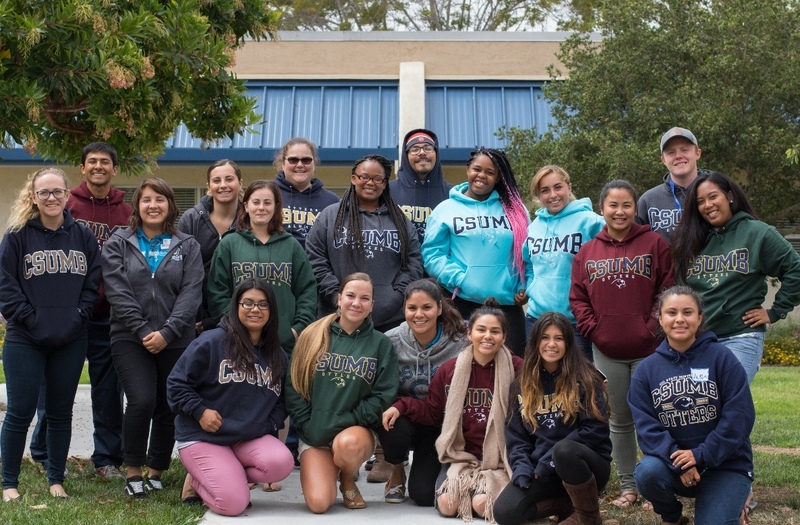 CSUMB recognizes that former foster youth often have overcome more obstacles, have less support and fewer resources than most entering students. Guardian Scholars exists to provide that extra support and ensure equal opportunity to all former foster youth at CSUMB. Through Theresa's dedication this summer, Guardian Scholars received donations and gift cards from Target and Ross Stores that were given to Guardian Scholar students in their "Mending the Needs" bags. Theresa and the Guardian Scholars Program are an embodiment of CSUMB's mission. As a community, we strive to pay it forward and support all members of our community.